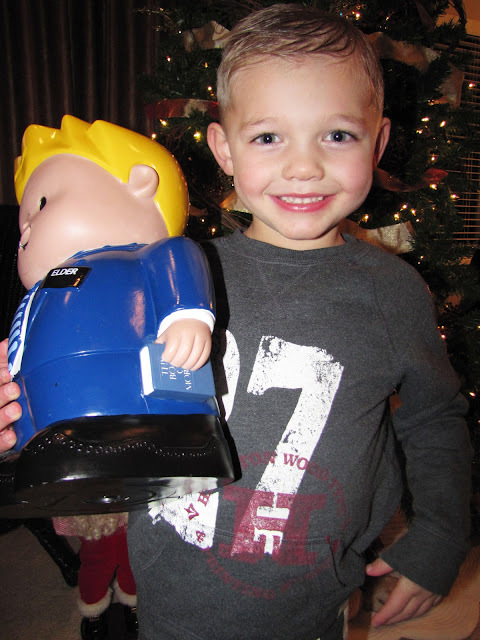 For Christmas two years ago, Granny Goose gave Bryson this cute missionary bank. Since then he's been shoving all of the money he's earned from doing his chores and all the money he's received from his great-grandparents (thank you Grandma & Grandad Jones!) inside. The other night for Family Home Evening we decided to empty it out because it was getting pretty full. We had a short lesson about what it's like to go on a mission and had Bryson practice doing door approaches with his little Book of Mormon in hand and Mike's old missionary tag attached to his shirt. Our little "Elder Miller" was so cute and did such a good job! Then we drove over to the nearest Coinstar machine and helped Bryson dump all of his coins into it. 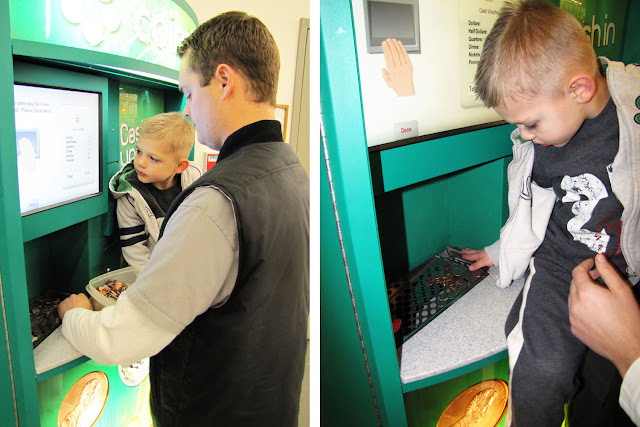 He loved watching the dollar amount climb as the machine ate all of his money. 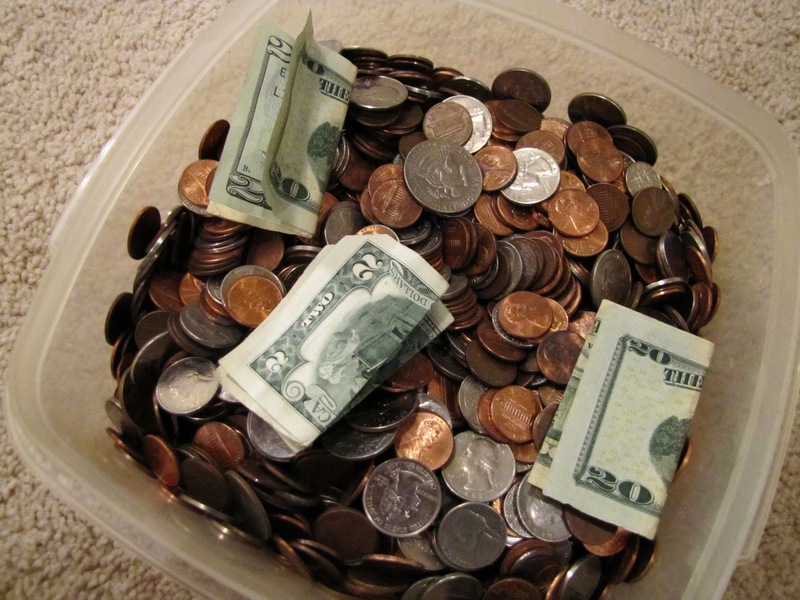 The final total of coins was $72.61. He also had another $42.00 in bills making the grand total $114.61. When we got home with the money, we helped Bryson fill out a tithing slip so he could pay tithing on it. Then we gave him another 10% of it to keep, which he'll spend on something he wants (he told us he wants to save it so he can buy a "Sir Angus castle" with it), and then the rest of it we've since taken to the bank to put in his missionary savings account. We hope Bryson will be able to save enough money to pay for his entire mission by himself someday just like his daddy did. This money is a great little start. We love our future missionary!